Browse through our free performance tools, designed to help you generate more from your trade show investment. 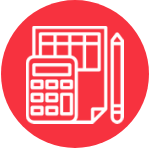 Our exhibition engagement calculator helps you understand the key performance indicators (KPIs) you need to achieve ahead of your next exhibition to deliver your required ROI. The Exhibition Performance Scorecard benchmarks your current exhibition performance against our proven blueprint for exhibiting success. The scorecard identifies key areas of strength and weakness with recommendations on what you need to work on to drive greater return on investment. Simply answer the 20 multiple choice questions, which will take no longer than 5 minutes, to receive your results and recommendations. Generating trade show ROI can be hard work without a strategy. In this 24 page guide, you'll learn why trade shows are an exercise in marketing, not sales. We explain the art of attracting attendees using effective face-to-face engagement and share strategies to increase the volume and the quality of your trade show leads. We give you the formula to forecast the success of your face to face marketing. No doubt you want to make your hard-earned marketing dollar perform and give you a great return on investment from this important live marketing exercise. To provide you certainty of exhibiting success, here are 11 very important questions that you should ask within your business right now that will help you elevate your exhibiting performance to a higher level. How to hire the very best booth staff to achieve exhibiting success! Engaging visitors and creating a positive first impression at exhibitions is a fine art, and when executed badly can have a huge negative impact on the exhibitor’s ROI. Learn the key criteria you need to consider, to select the right people for the right tasks, and manage them effectively during the exhibition to help you get the most out of your investment.